shu, 05 Jun 2014how to reset my password in karbone k451+ handsat How to reset k451+ password? What is it weight in kilogram? How to insert memory card in K451? how to download in memory card, u can see Phone & Self, how to go in self . Increase the volume of the Call. Go through the song list while listing to the song, when u press back the song stop. How to insert SD card in this phone? in this mobile automatic call recorder is available? 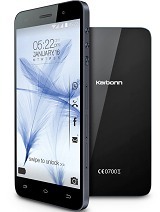 Total of 54 user reviews and opinions for Karbonn K451+ Sound Wave.